Firstly, and most importantly, thank you to Celia for hosting our monthly kitchen get together! And to so many who read and commented with wit and wisdom about my kitchen and garden adventures last month, thank you as well! There were many helpful suggestions and I will update you quickly. Grasshoppers are still around, but have mostly moved out of the courtyard where most of my edibles are grown. There are still many around, but these later ones at least have a sense of style and colour! 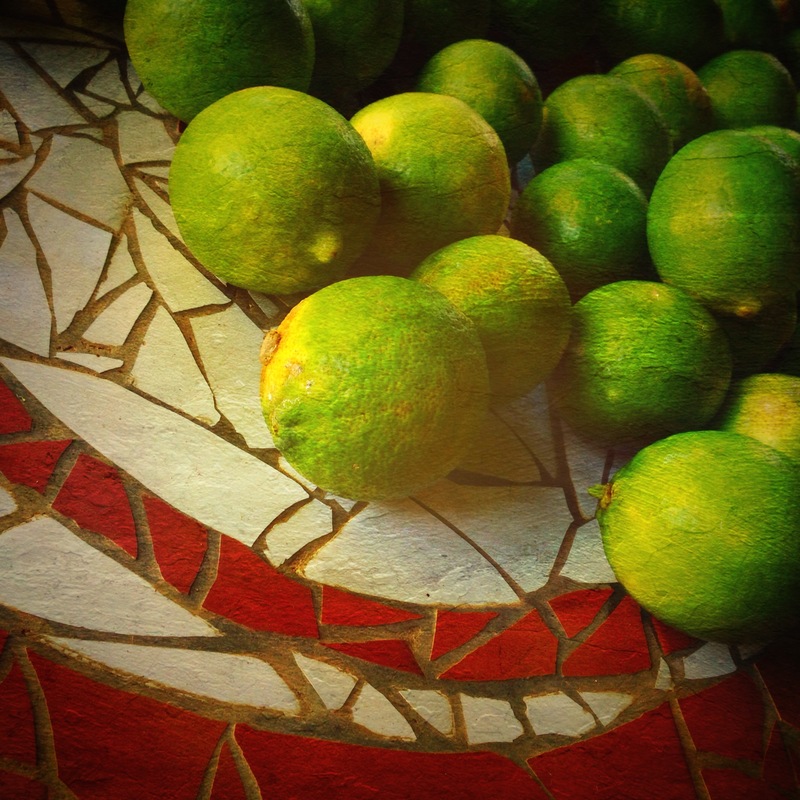 It is lime time. We’ve had to empty the tree because the mealy bug has moved in and we needed to treat that. The limes are delicious this year and I wish I could send you all some. It has been a bad summer for growing a lot of things; insects we don’t normally have, in proportions we don’t normally have, and either too wet or too hot for a number of things. Welcome to Australia. On the last day of February, I walked into my kitchen to find this lovely little creature poised on the edge of the kitchen bench. After taking her portrait, I gently assisted her to a nice fresh, green basil leaf that has regenerated after the grasshoppers cleaned most of them off! The efforts to save my Bay Tree seem successful. I gave it a hit of Seasol once I could see it was shooting new leaves, and it has come on beautifully. I’m still scraping the occasional bit of scale, but once the weather cools I will treat it again, and that should take care of things. The cast iron pan has gone for a test trial to Aunt B’s kitchen, where we have deduced the trouble is definitely operator error on my part (never was much doubt), and we will endeavour to correct that. Stay tuned! I’ve been having some delicious breakfasts, and main course salads continue a favourite while the weather is still quite warm. homegrown chili, the thing grasshoppers won’t eat! I’m currently on a broccolini* binge. I have it in omelettes for breakfast, or steamed for lunch and dinner with a variety of modifications from bacon to cheddar or Parmigiano Reggiano. I’m sorry I can’t be biased, I love it all. 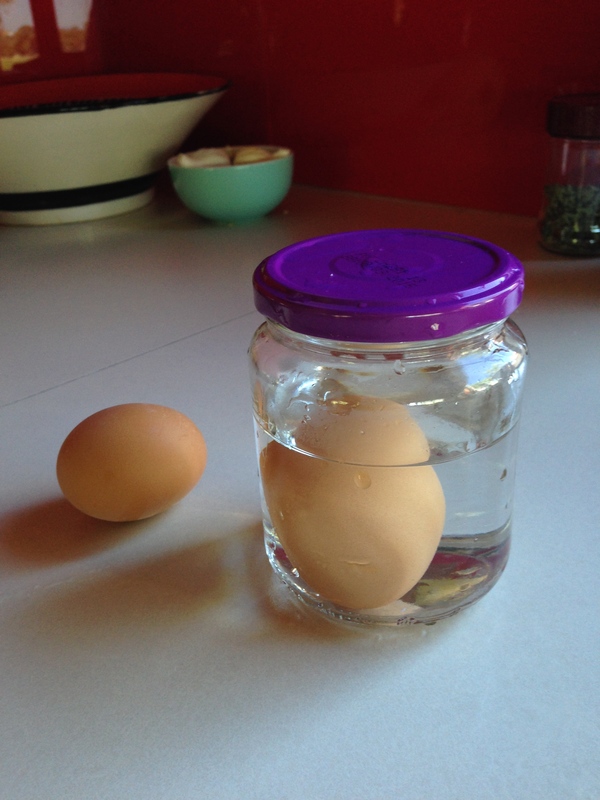 Here is a recent discovery of something clever that actually works; a way to remove shell from hard boiled eggs. I usually use free range eggs, as fresh as I can get them, which means they can be difficult from which to remove the shells when hard boiled. But if you place them in a jar of water, and shake gently, but enough to crack the shell all over, 5 seconds or so, the shells will actually come off pretty easily. I shook one harder, just to see what would happen, and it peeled alright, but took a layer of egg with it! So, the shaking will be a trial and error thing depending on your own strength and style!! Do let me know if you find it useful, I certainly do! shake, shake, shake, shake it off!! works as well as anything I have ever seen. Even though insect plagues and heat have ravaged my courtyard garden, I still enjoy looking out my kitchen window at it each day. The light is ever changing and inspiring. Wishing you light and lovely-ness in your month coming. Broccolini (original Japanese: ブロッコリーニ) is a green vegetable similar to broccoli but with smaller florets and longer, thin stalks. Often misidentified as young broccoli, it is a hybrid of broccoli and kai-lan, both cultivar groups of Brassica oleracea. It was originally developed by the Sakata Seed Company of Yokohama, Japan, in 1993 as “aspabroc”. The entire vegetable is consumable, including the occasional yellow flower. 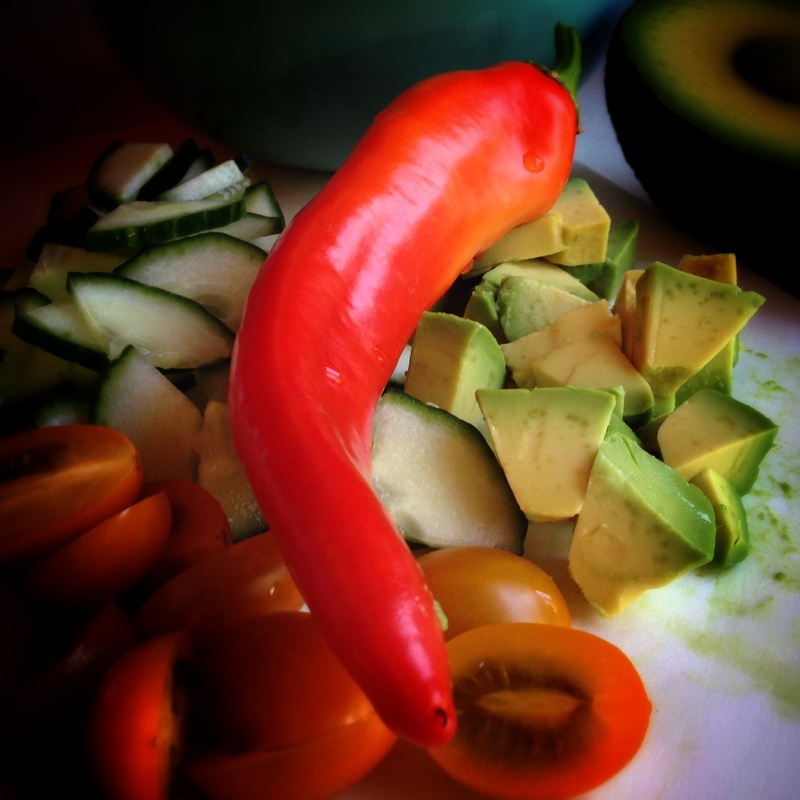 Common cooking methods include sauteeing, steaming, boiling, and stir frying. In Japan, it is highly popular as a spring vegetable, and usually eaten steamed. Its flavor is sweet, with notes of both broccoli and asparagus, although it is not closely related to the latter. Some more beautiful photos to feast our eyes on. Love the bouganvilia in the last photo. Your salad meals look perfect for this weather. I like the hint about peeling eggs too. If using them in halves, I cut them down the middle, vertically, then scoop out the egg with a teaspoon. Thank you Francesca. I haven’t tried your tip on cutting the eggs in half and scooping, that sounds like a good one. Gday Beautiful photography which brightened my day! Thank you re your egg suggestion as I always enjoy learning something new! Thank you for also sharing this month’s IMK view! Thank you Joanne, cheers to you! Of the several IMK posts I’ve read this months, I’m loving the colours. It must be the season. Your IMK lady bug is a treasure. The G.O. 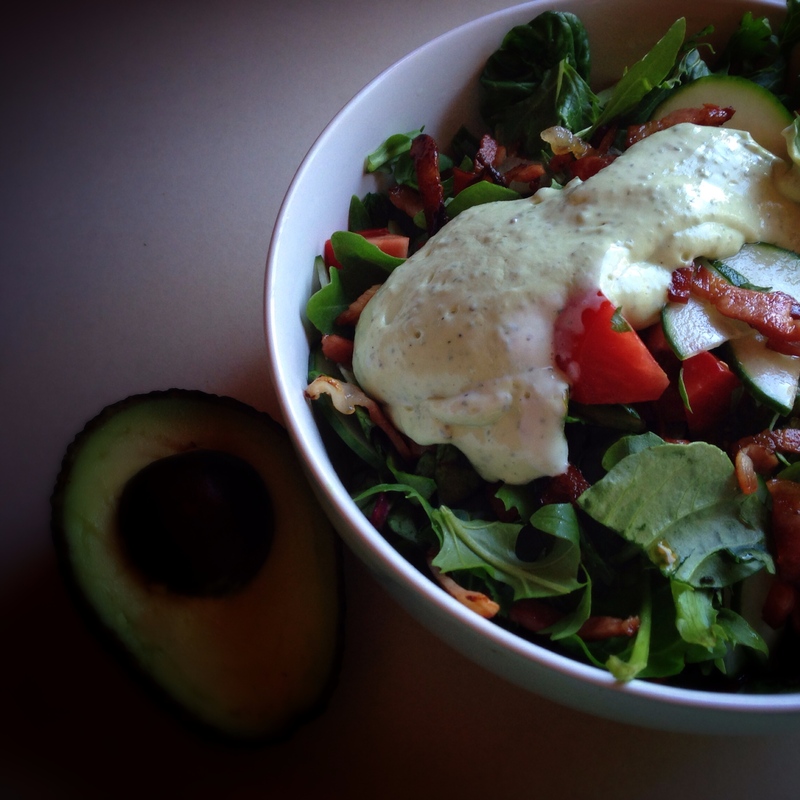 (as well as me) would enjoy the bacon salad… which is how I would sell it to him. Yum. I know what you mean about the frustrations of trying to peel boiled eggs. The last lot I tried were so horrible to peel I had to make egg salad from them! Love your turn of phrase ‘no dignity in bad language at a boiled egg’! Thanks for reading Dale. 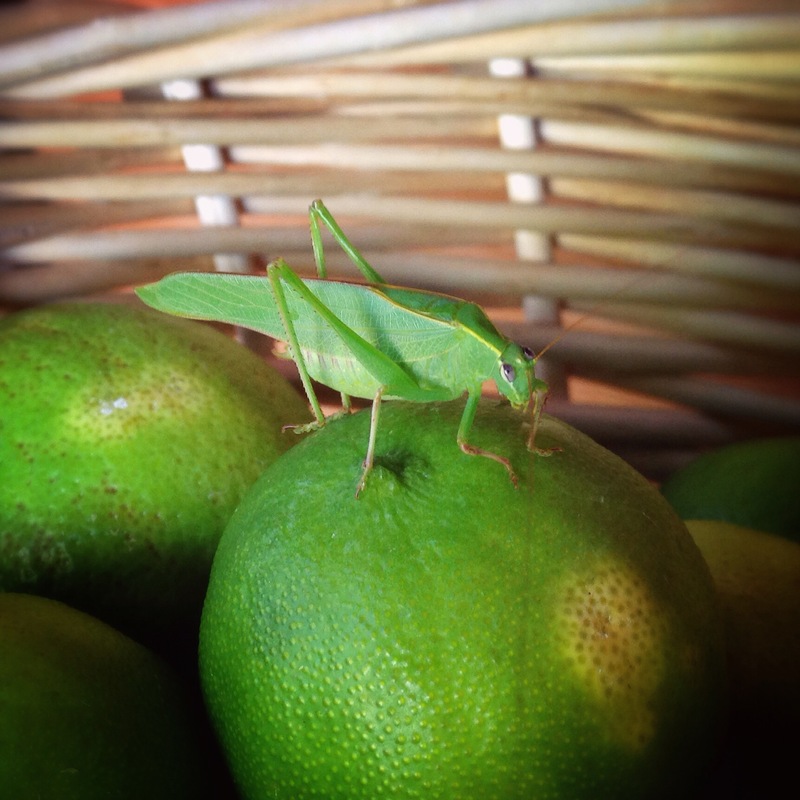 I think the grasshopper on your limes is looking very suspicious and hoping he won’t be noticed. 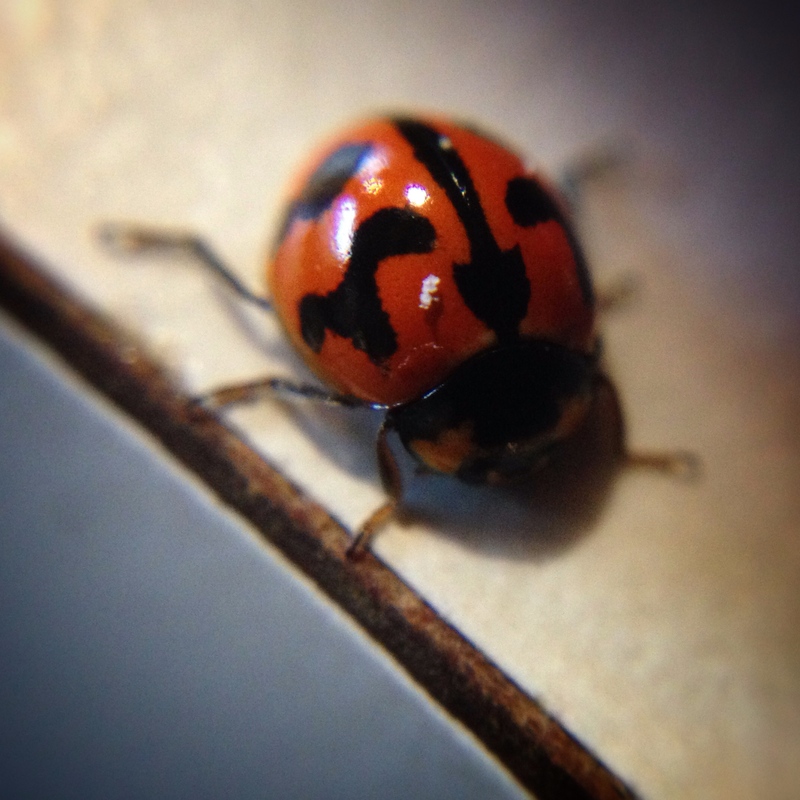 The ladybird is beautifully patterned, I’m sure she enjoyed her fresh breakfast when you took her out. When I hard boil an egg I tip the hot water away and replace with cold then gently tap the egg on the sides of the pan for the same effect as you. The shell seems to come away cleanly in the water. Now where have you been with your tip all these years while I was struggling with peeling eggs? Sounds a very similar concept, doesn’t it? I think the grasshopper was suspicious, he wheeled slowly in my direction as I was taking the photos. Perhaps my murdering ways have preceded me?? His life was spared, just too nice a still life to ruin it. Thanks for reading David. Will have to try the boiled egg tip – it’s got to be better than my normal ‘smash and pick off tiny bit of shell’ routine. 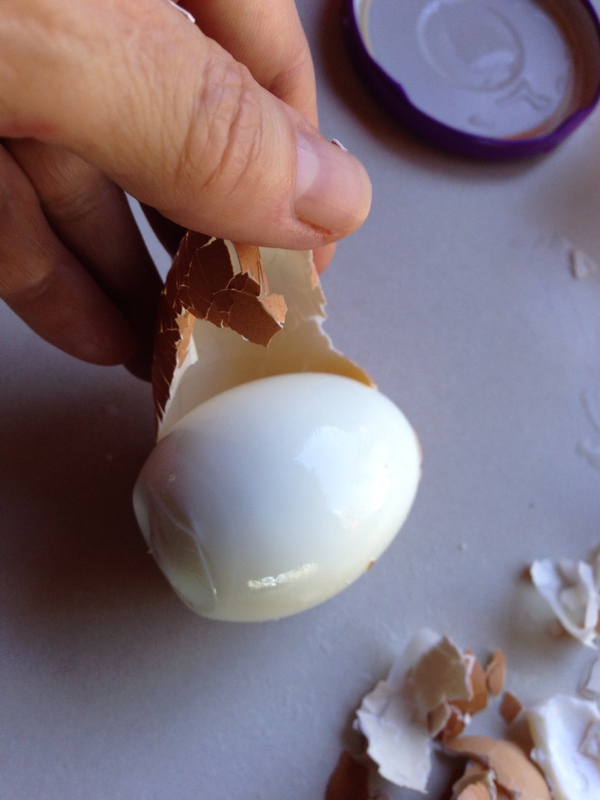 I sensed there was some frustration among ‘the people’ with regard to peeling eggs, so when I saw that tip, I thought I’d try it myself first to see if it actually worked, most of them don’t! I hope it works for you Anne! Thank you Roger. We seem to have a good supply of the broccolini this year, and it has been good quality too, whereas my other favourite, brussels sprouts, have not been so good lately, so have opted for the broccolini. Can’t wait to try the egg peeling trick Ardy! I adore brocciolini too and could eat it breakfast, lunch and dinner. I love the editing trick on the rose photo! I hope the egg trick works as well for you as it did for me. The flower at the bottom is called a Cherry Allamande and yes, that editing app is very handy. If you scroll on the photos in the gallery at the bottom of the post, the captions of each will appear at the bottom of each photo. Thanks for reading Sandra. yep i like that boiled egg trick too. cos there is nothing worse than having to chuck half the egg with the shell. I am a bit wary of broccolini; i believe the evil Monsanto have something to do with it:) Gotta love a lady bug. Yesterday i saw my first one in years in the garden. We have not had snails or bees or ladybugs for years. such a worry so this was a good sign. 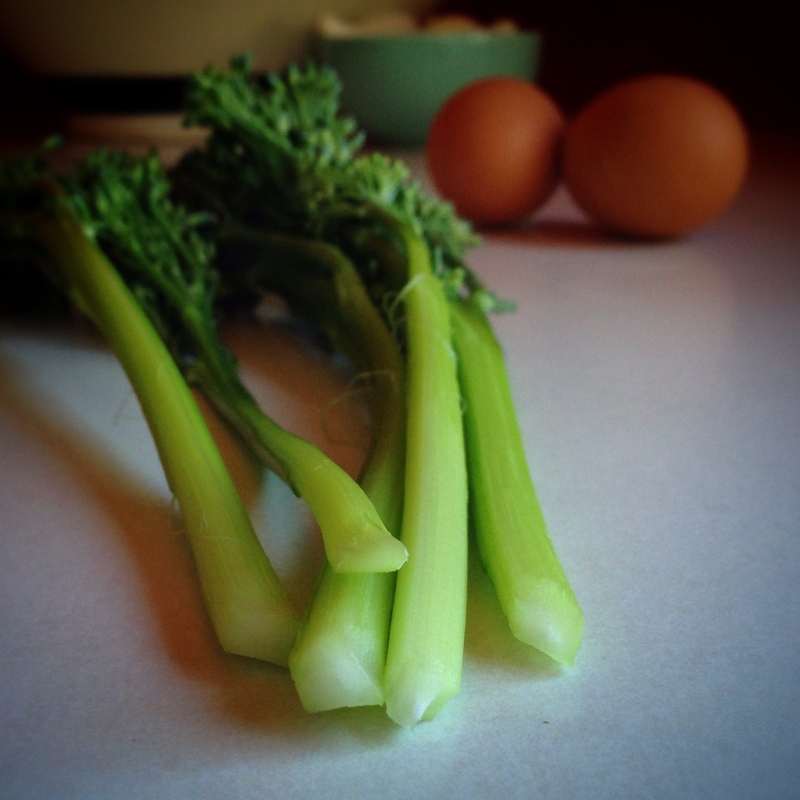 I did investigate a bit about broccolini and found no mention of Monsanto. I, too, am wary of their works. Glad you have had a lady bug sighting recently! I seem to have them most summers now, usually I see them in the basil and herb garden and I always tell them ‘go forth and multiply!’ Thanks for reading Sherry. Bad idea to read this post just before dinner time and nothing planned. Now all I can think about is how to combine limes, eggs and broccolini. I suppose as long as you add bacon, it all works fabulously together. Lovely pics, Ardys. Such a lovely touch in fact, I’m almost considering inviting a few beautiful bugs in for the meal. Must try the boiled egg trick. I have my own laying hens, and when the eggs are really fresh, they are so difficult to shell. I add a little baking soda to the boiling water and that’s pretty effective too. Isn’t it funny how some methods work for some of us, and not for others. I tried the baking soda method for boiled eggs and it didn’t work at all. We have very hard water and I wonder if that has anything to do with it? Thanks for reading Jennifer. I always smile when I see lady bugs (otherwise known as lady birds here in the UK). Lovey photos, as usual. 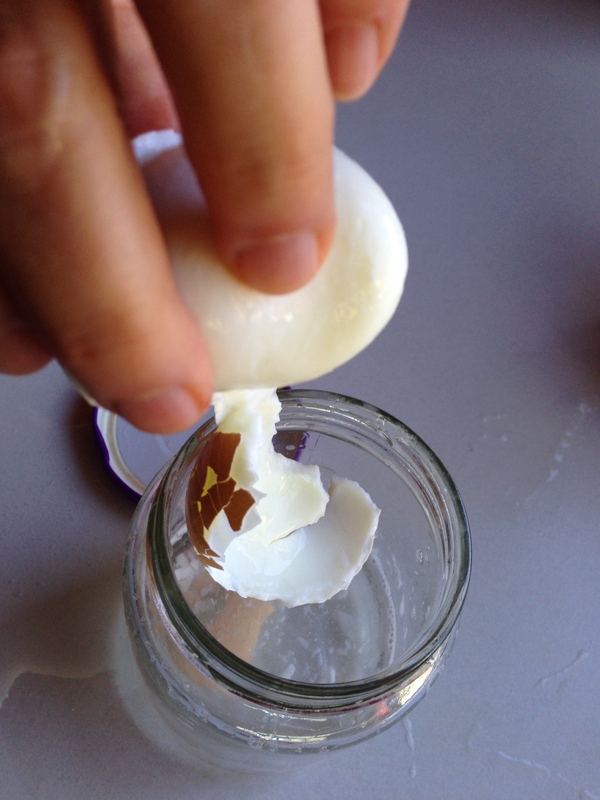 And, a great tip on shelling hardboiled eggs. I never know if half the egg is going to come away with the shell, Will try your shaking method. Yes, they are called lady birds here, too, but lady bugs in the USA and sometimes I’m uncertain which terms to use for these things! And saying ‘bird’ when you are talking about a bug just sounds wrong! Thanks for reading! Delightful processing Ardys 🙂 I love the grasshopper too! 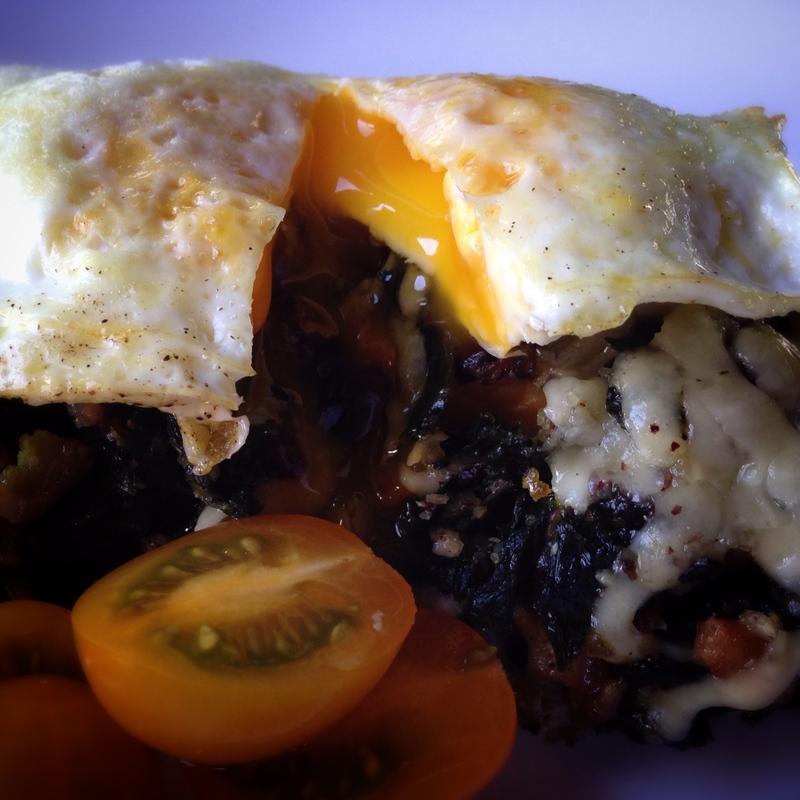 Gosh that stuffed mushroom and egg is calling to me! It’s delicious Kavey. Thanks for stopping by! I guess you know that ladybirds love to eat mealy bugs on citrus? NO! Perfect. In that case, I’m really hoping she listened to my advice to ‘go forth and multiply’! Thanks Pip! Love the grasshopper and lady bug, though sorry to hear of the pests bothering your garden. I do so despise when the bugs discover my garden! Your salads look delicious and I am loving the stuffed mushroom with egg, brilliant. Yes, the insects can have all the rest of the out of doors, I just want them to leave my courtyard edibles alone!! Thank you for reading and commenting. I’ve been ‘indisposed’ with a head cold, so forgive my slow response… thanks for reading Fiona. The mushrooms are on the menu for this weekend, again! You have had a busy month in your garden and kitchen Ardys! 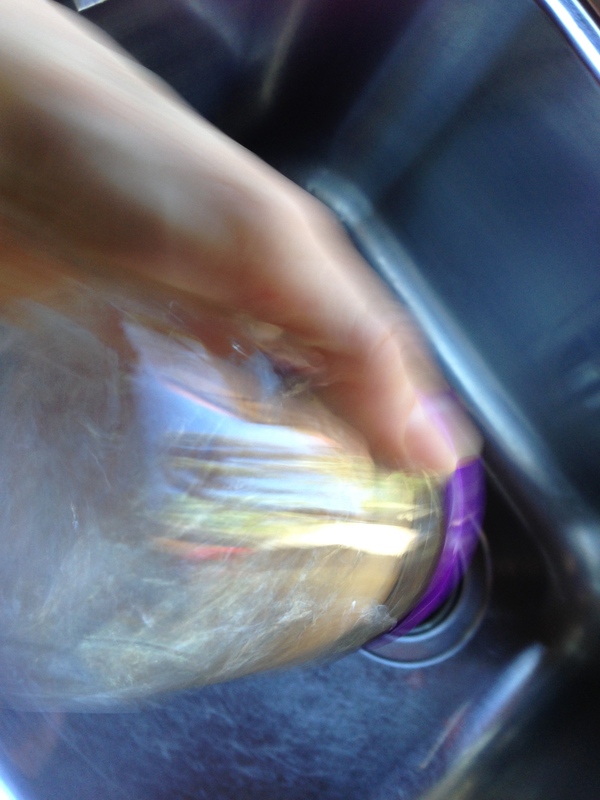 I am so trying your shaken boiled egg trick – we have hard water too, so I hope it will work. I tend to massacre boiled eggs when I peel them. 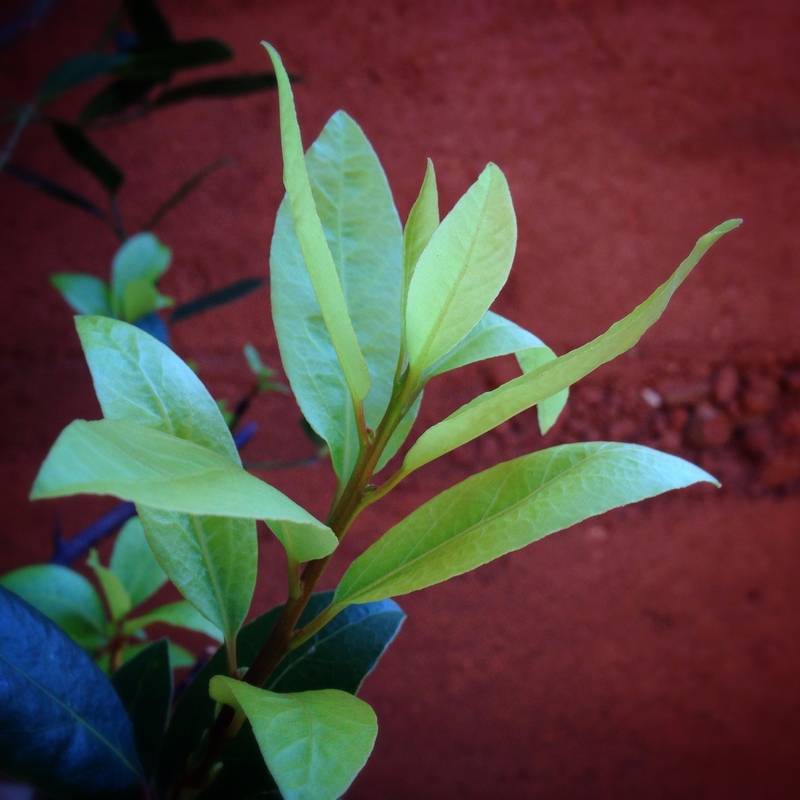 How wonderful to see that new growth on your bay – so heartening! Love your veggie salads and also the mushroom and egg. Can’ wait to hear about then next phase of the cast iron pan saga – hope Aunt B can make it work. Your photos are just gorgeous as usual. Yes, massacre is the thing I do to boiled eggs as well Selma! The word from Aunt B is the problem with the iron pan is operator error! Just as I thought. As soon as she is back from holiday I’m going to have a lesson–or two?! Thanks for reading Selma. Our lemon tree is nearly denuded of leaves, thanks to the grasshoppers, and still two months away from harvest, so we are hoping the fruit will still come good. The lemons need a cold night or two to sweeten them. I hope the egg trick works for you. Thanks for reading Liz.